This year’s honorees were Rev. Nicholas F. Martorano, O.S.A, Judge Rose Marie DeFino-Nastasi and SPBA membership director Russell Shoemaker. Whether ruling on homicide cases, donating toys to a Nigerian orphanage or preaching the gospel, a breadth of difference makers call South Philadelphia home. 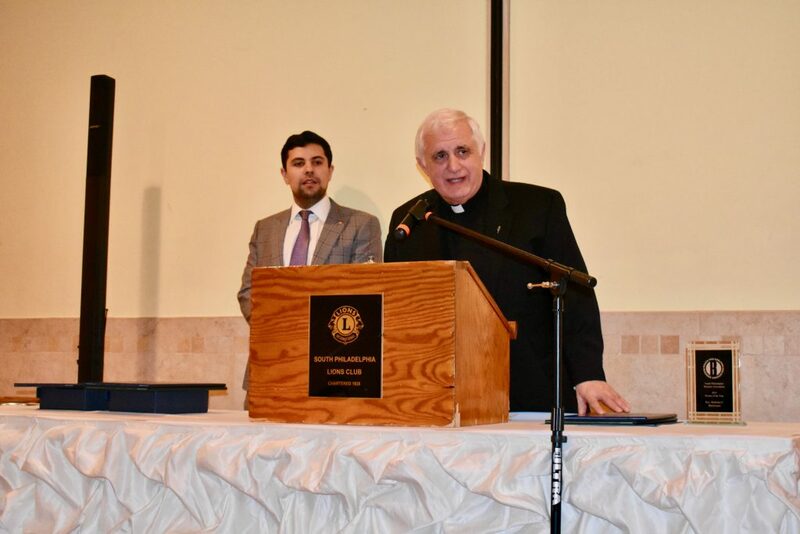 Last Thursday, the South Philadelphia Business Association, a 120-year-old organization encouraging the creation of new local commerce, honored three local exemplars of religion, law and charity during the group’s 2019 Person of the Year Banquet at Galdo’s Catering. The annual event, which hosted dozens of people last week, honored three South Philadelphians who’ve dedicated a career to giving back to their community, including the Rev. Nicholas F. Martorano, O.S.A, Judge Rose Marie DeFino-Nastasi and SPBA membership director Russell Shoemaker. Although stemming from different careers, all three honorees share a common denominator – service. Satisfying their general mission, proceeds of the yearly event contribute to the organization’s scholarship fund – a keystone of the South Philadelphia Business Association. For the past few decades, the group has distributed tens of thousands of dollars in partial college scholarships to South Philly high school seniors. Every year, 10 to 15 students are given $1,000. Olivieri says 100 percent of proceeds go back into the community, as along with the scholarships, funds will be going toward families in need during this upcoming holiday season. Each year, members of the South Philadelphia Business Association brainstorm and then vote on a few outstanding South Philly residents to recognize at the March reception. Rucci and Olivieri say all three individuals saluted this year are some of the most praiseworthy folks they’ve ever honored. Marking four decades of priesthood, Martorano, a native of East Passyunk Crossing, has been serving as pastor at St. Nicholas of Tolentine, 910 Watkins St., for 34 years. A few years ago, he concurrently began guiding Annunciation B.V.M after the parish merged with St. Rita of Cascia. For the priest, who also worked as an assistant pastor at Our Lady of Pompeii Church in Vineland, the most rewarding part of his career has been experiencing local parishioners become his family members. Like Martorano, DeFino-Nastasi, a native of Girard Estates, also recognizes her impact on people’s lives. Serving on the Court of Common Pleas, the Saint Maria Goretti and Temple University Beasley School of Law graduate has presided in the city’s Homicide Division for the past nine years, following in the footsteps of her father, Judge Anthony J. DeFino. DeFino-Nastasi, who began her career at the Defender Association of Philadelphia, recalls one of the most resilient points in her life – attending law school while raising two young children. But, inspired by her late father’s work, she persisted, finding a true passion for the taxing but gratifying practice. “You really have to have an understanding of human nature, because you have people’s fates in your hands, and you have to know when to be tough, when to show compassion,” she said. Army National Guard veteran Russell Shoemaker, a graduate of South Philadelphia High School, has also fostered his career with compassion for others. Working as a general contractor and handyman, the North Carolina native, who relocated to South Philly when his father, a member of the United States Marine Corps, was transferred here, wears many hats. The honoree sits on several boards of directors, including the South Philadelphia Business Association, the Police District Advisory Board and Bethana, a local Christian organization that provides care for children and families “in order to ensure safety, restore emotional wellness and build family stability,” according to its website. But for Shoemaker, who was a 2018 recipient of the Chapel of Four Chaplains’ Legion of Honor Award, his most honorable work lies in his service to the South Philadelphia Lion’s Club, as he says his efforts through the organization has led to recent charities in nine countries, including Mexico, Nigeria and Uganda. 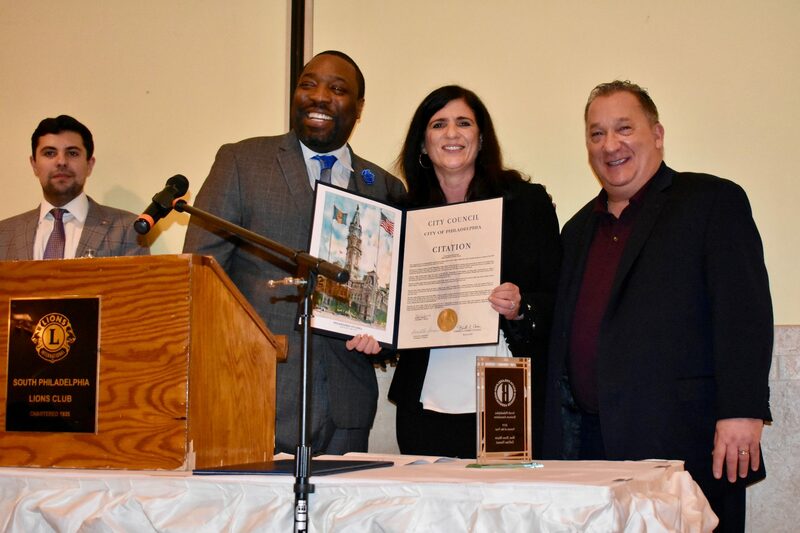 During the ceremony, all three recipients were given official citations signed by state Sen. Larry Farnese, Councilman Kenyatta Johnson and state Rep. Maria Donatucci. 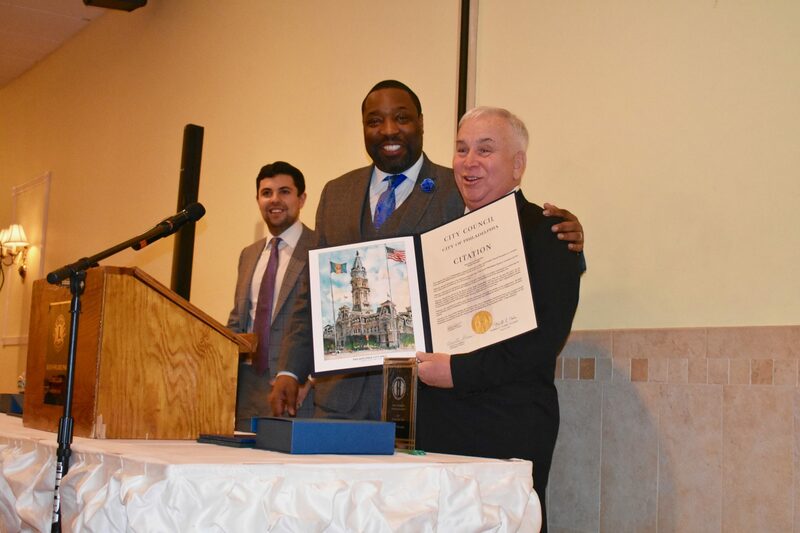 Johnson, Donatucci and one of SPBA’s business directors, Michael Giangiordano, distributed the citations while introducing the esteemed honorees. Following their individual highlights, each recipient thanked their family, friends and, of course, their communities.